Anirban Lahiri, who had rounds of 70 and 75 on first two days and was languishing in 61st place moved to tied-40th. Lahiri, who had rounds of 70 and 75 on first two days and was languishing in 61st place moved to tied-40th. "I'm more relieved than anything else. I've been playing well but just haven't come up with a good score. 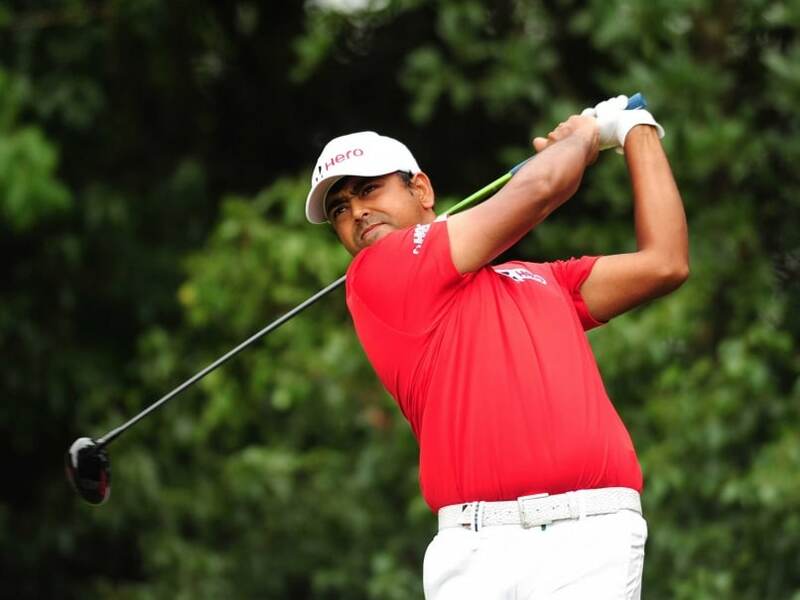 I was slightly disappointed to have left a couple of shots out there coming in, but it was great round and I'm happy that it's come around today and I've got a chance to move up tomorrow," said Lahiri. SSP Chawrasia, India's other representative at Asia's richest tournament, meanwhile posted a 71 for a 212 total. "I'm playing well but I missed several short putts today which I hope will not happen again tomorrow," said Chawrasia, who was now Tied-43rd at four-under for 54 holes. Lahiri's round was marred by a double bogey on par-5 eighth hole for the second day in a row. He hit his third shot into the water from the fairway again. This time he played a shot from the hazard, but it went over the green and then missed his up and down from there. But he did make up with a birdie on the ninth with a 15-foot putt on his closing hole. The seven-time Asian Tour winner, who teed off at the back-nine 10, stormed towards the turn with five birdies for an outward 31. He started marking his card with more birdies again on holes six and seven before a double-bogey seven on eight halted his charge momentarily. While feeling disappointed with carding a double-bogey on the same hole for two consecutive days, Lahiri showed great character by bouncing back quickly with another birdie on nine to sign for a three-day total of five-under-par 211. "I haven't made too many doubles in the last two or three months and to do it on a par-five from the fairway on each occasion is ironic. It just shows how easy it is to mess up from a good situation," said Lahiri. Meanwhile, Kevin Kisner continued his march towards a maiden WGC-HSBC Champions title, but the American has a whole host of rivals - including his compatriot Dustin Johnson and local hero Li Hao-tong - snapping at his heels at Sheshan International Golf Club. Kisner posted four birdies in a round of 70 to move to 16 under par, one shot clear of Johnson, Li and Scotland's Russell Knox, who still has one hole left to play after darkness cut short his third round in Shanghai.